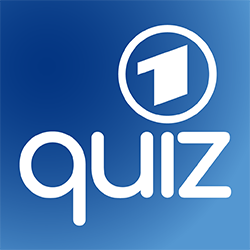 The ARD Quiz App launched on the 1st of July 2017 during an XXL-primetime-edition of “Wer weiß denn sowas?” (“Who knows that?”). Ever since, the audience can participate in their favorite ARD quizzes and shows via the second screen app available for iOS and Android. Users can register and use all interaction opportunities with a single profile. It does not matter whether users prefer playing live during the shows or challenging friends or other users beyond airtime. The ARD Quiz App is constantly extended as new quizzes and shows are integrated. Viewers can use their user profile for all shows, i.e. when participating in the quiz and dating show “Flieg mit mir!” (“fly with me”) or when proving their knowledge in the NDR Quizshow with Jörg Pilawa. The continuous extension of the ARD Quiz App allowed Peak Performance Apps GmbH and ARD to offer the audience a widespread second-screen application for all quiz shows at “Das Erste”.